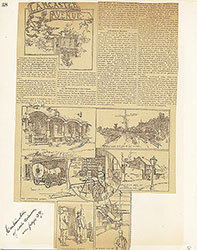 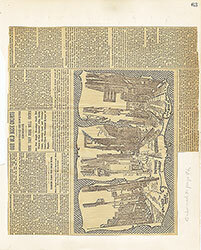 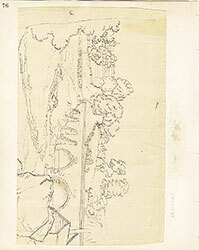 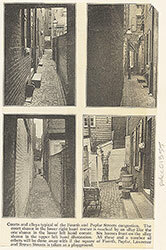 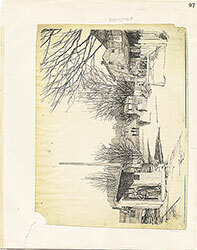 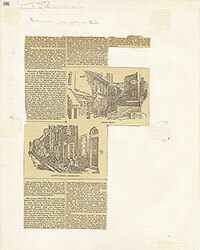 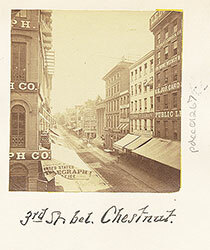 Title: Third Street below Chestnut Street. 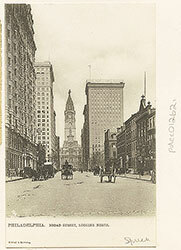 West Side. 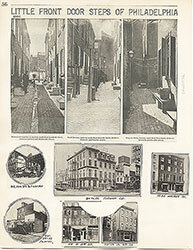 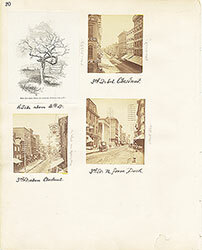 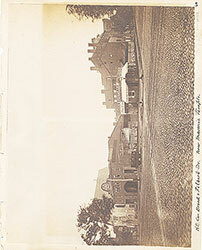 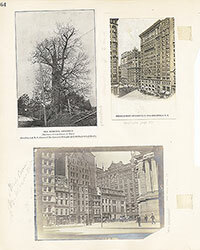 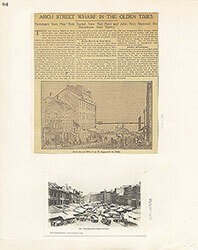 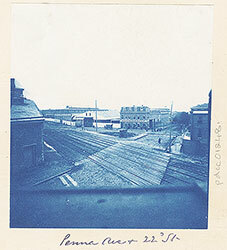 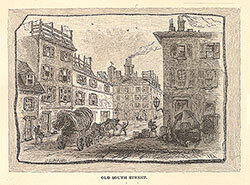 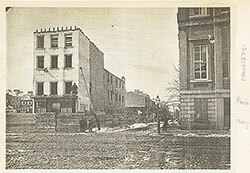 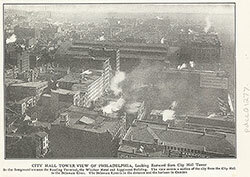 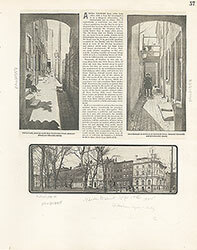 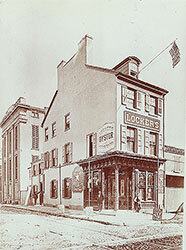 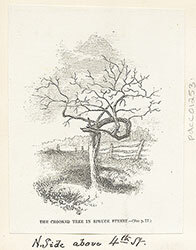 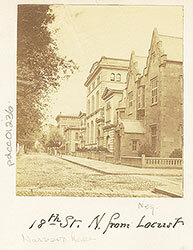 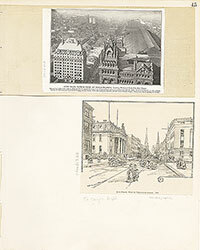 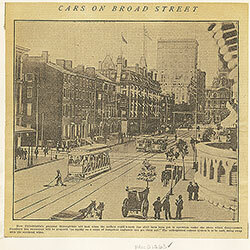 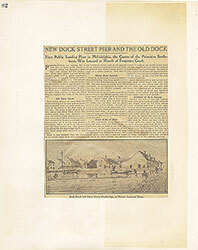 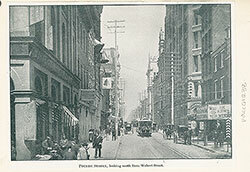 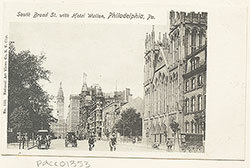 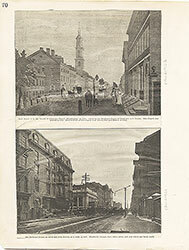 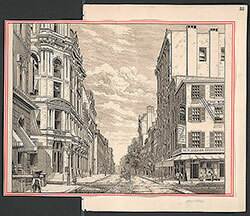 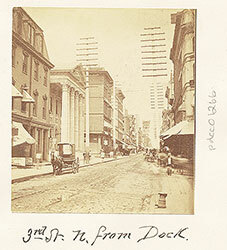 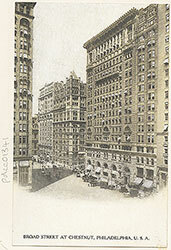 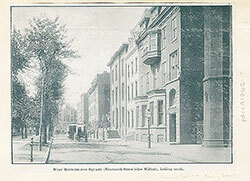 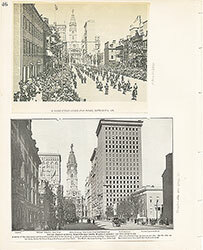 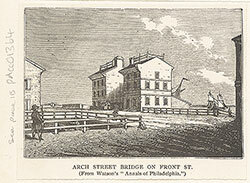 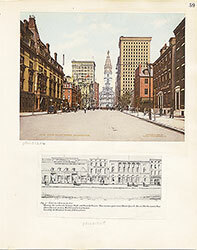 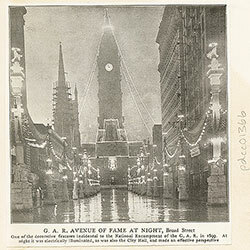 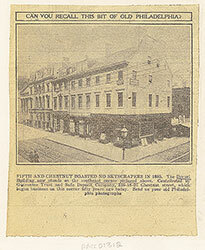 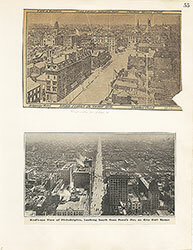 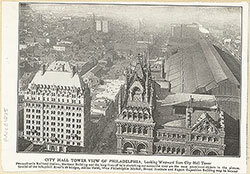 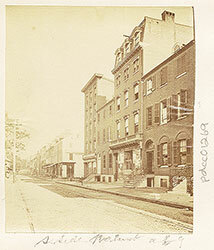 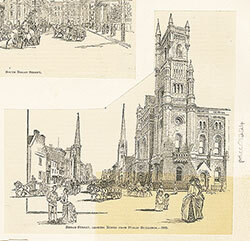 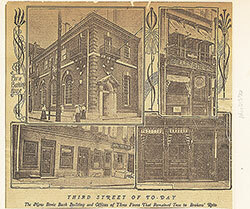 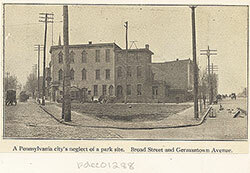 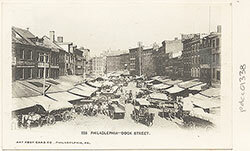 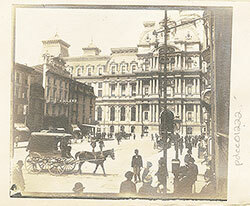 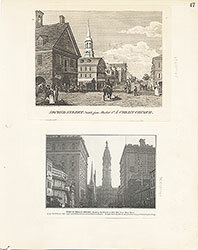 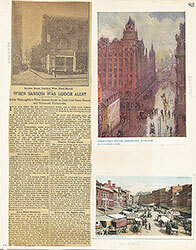 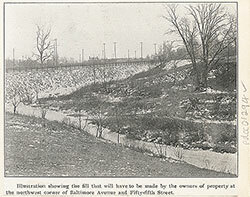 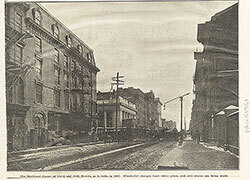 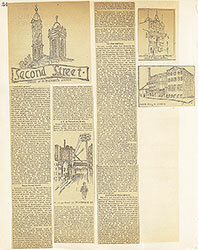 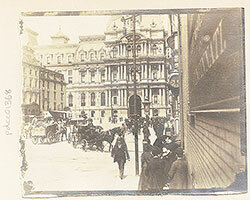 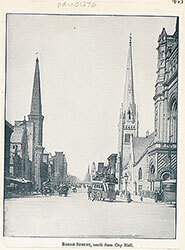 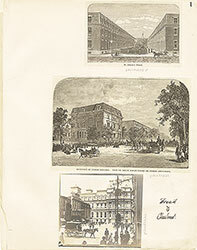 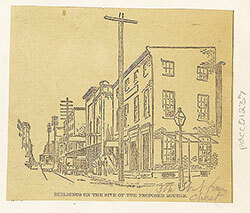 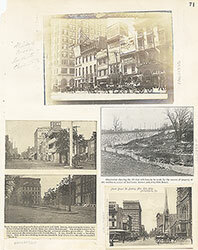 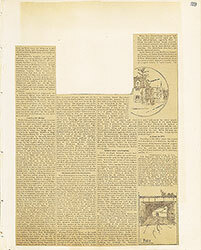 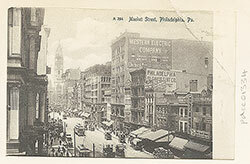 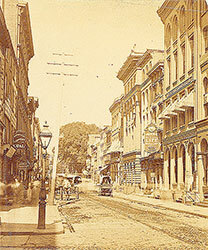 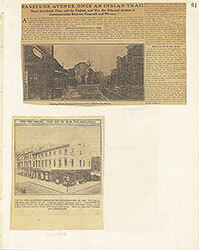 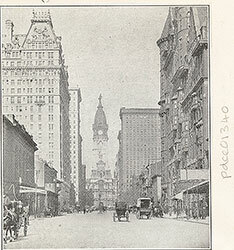 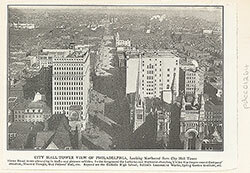 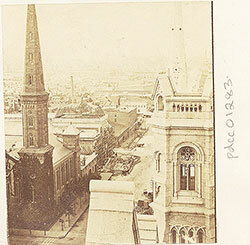 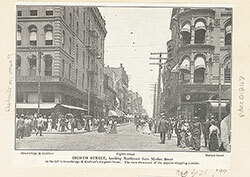 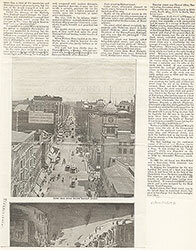 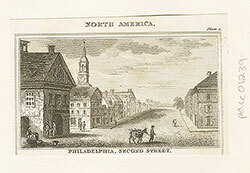 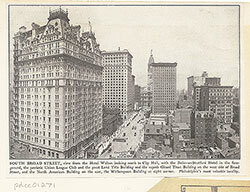 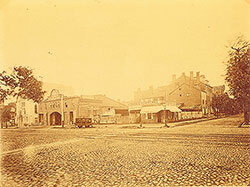 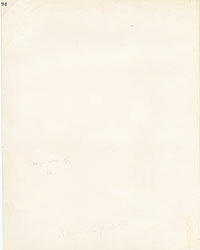 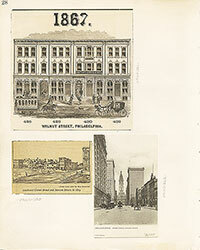 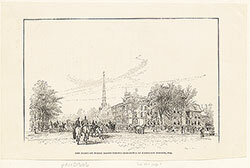 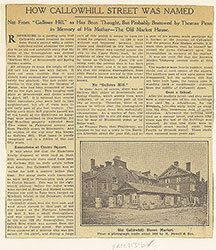 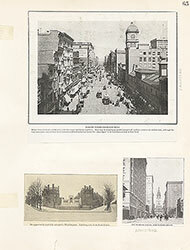 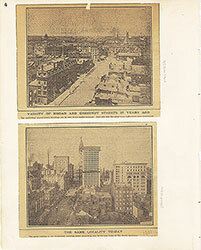 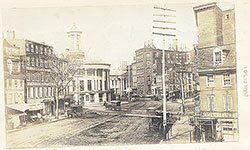 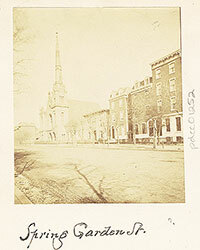 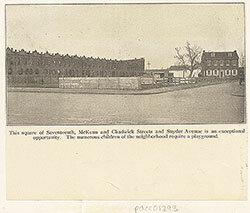 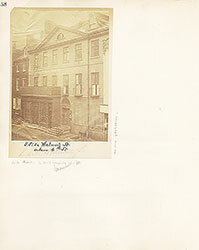 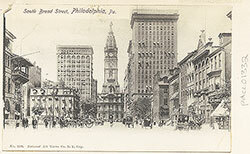 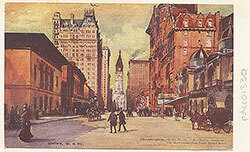 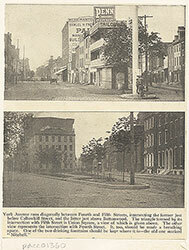 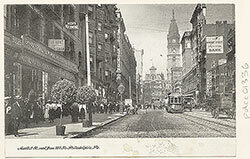 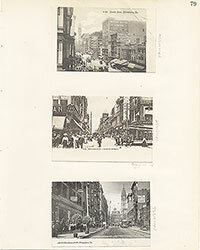 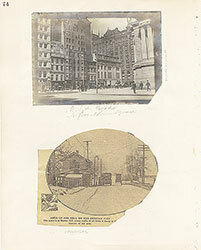 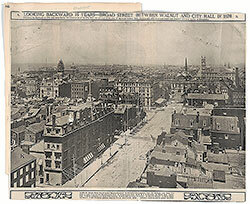 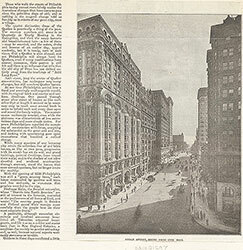 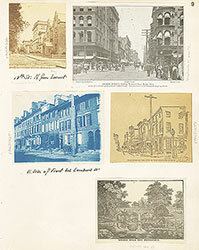 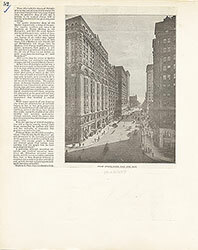 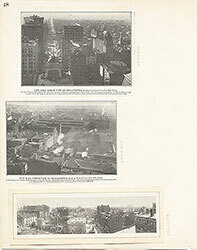 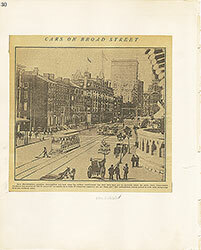 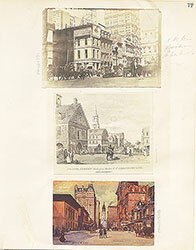 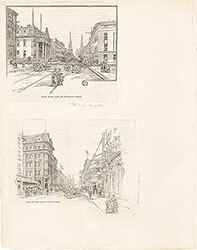 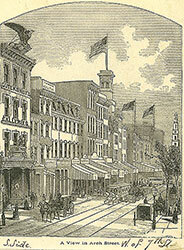 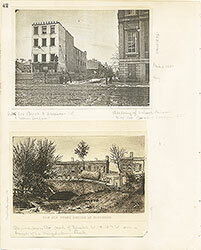 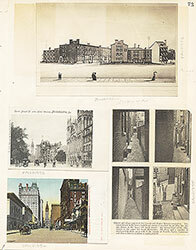 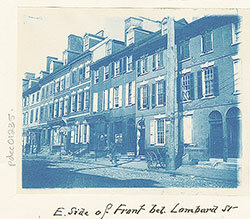 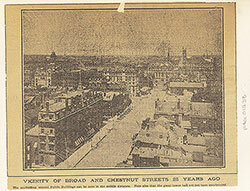 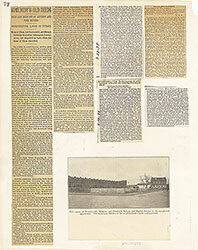 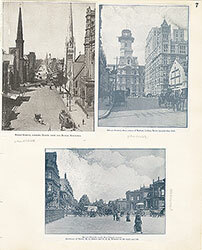 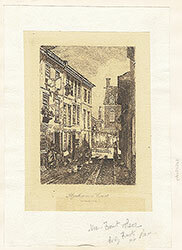 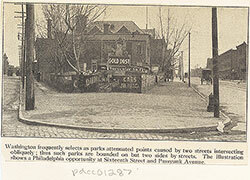 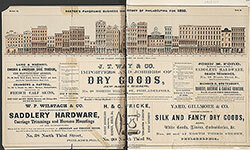 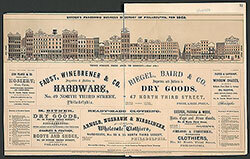 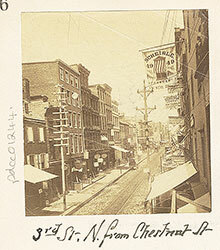 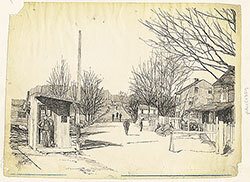 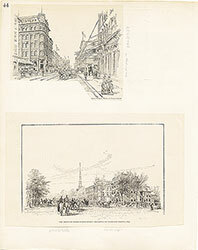 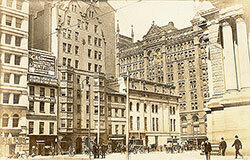 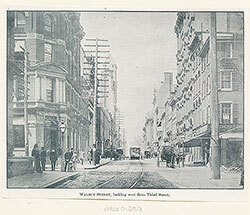 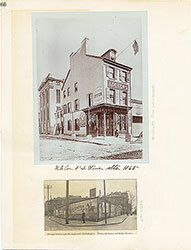 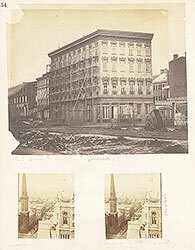 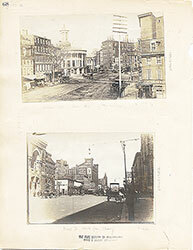 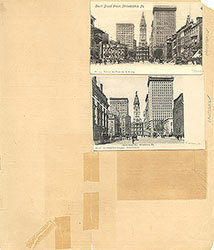 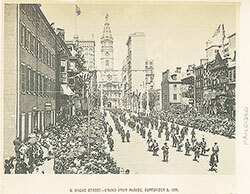 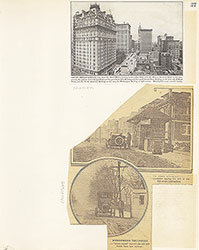 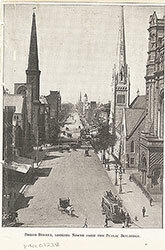 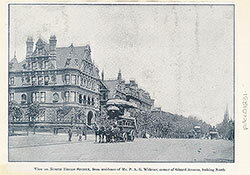 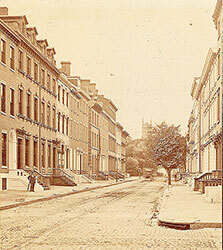 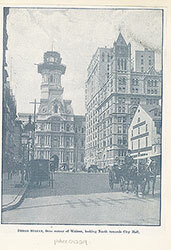 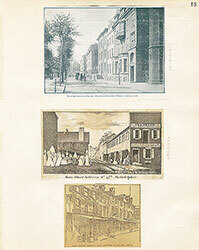 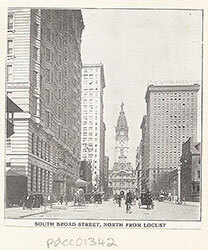 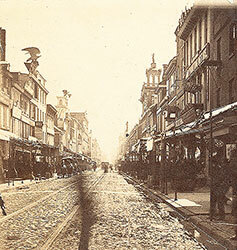 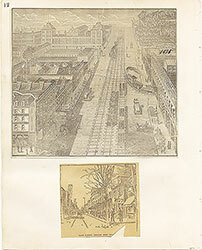 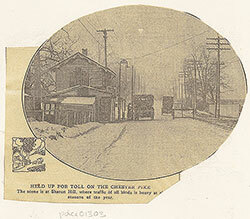 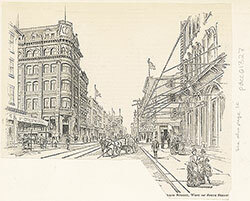 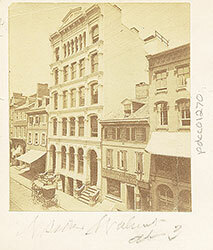 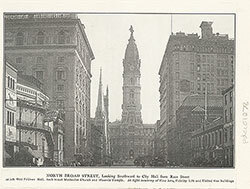 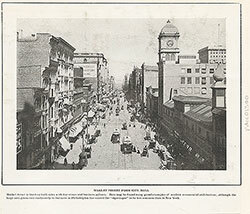 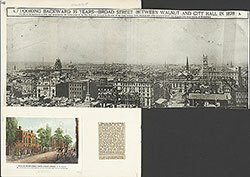 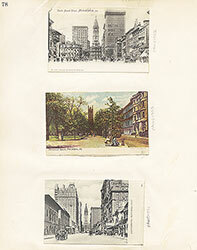 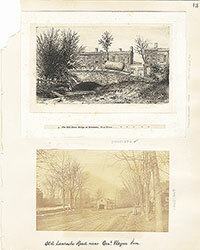 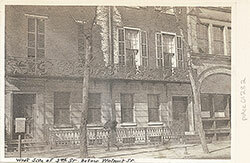 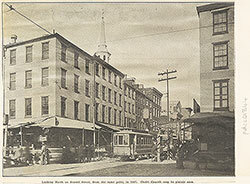 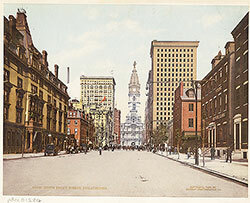 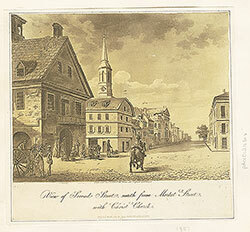 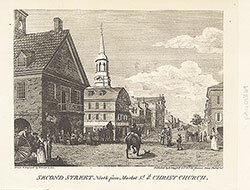 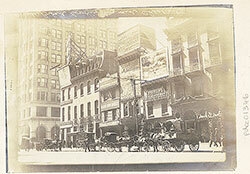 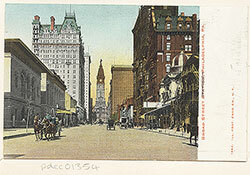 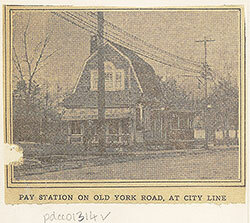 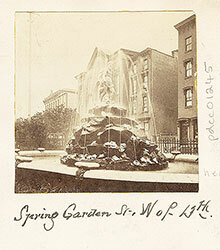 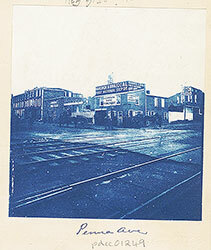 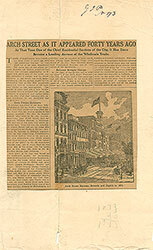 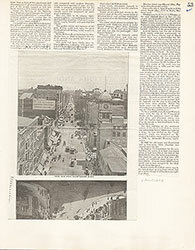 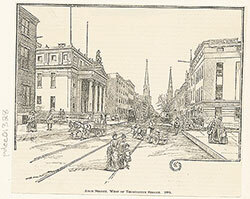 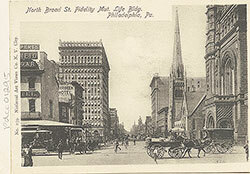 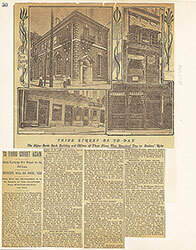 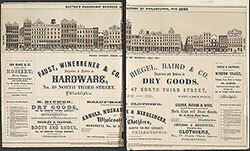 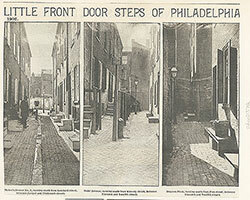 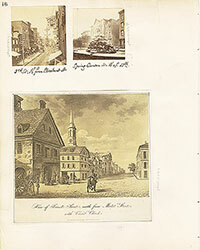 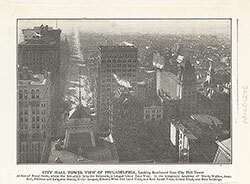 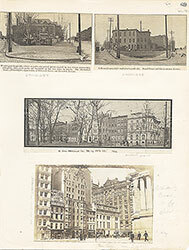 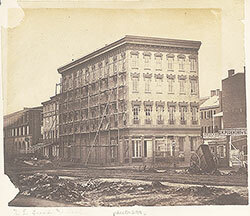 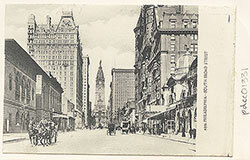 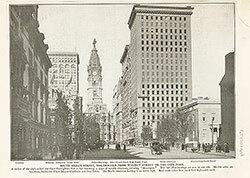 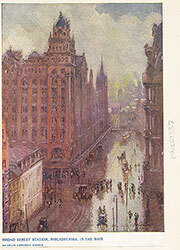 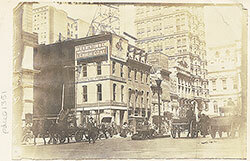 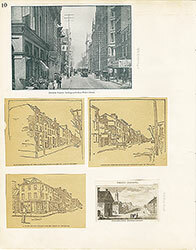 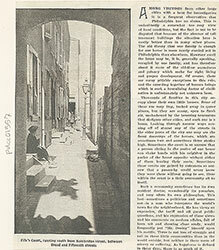 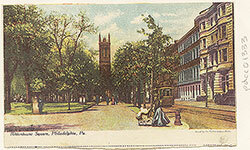 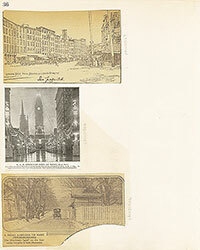 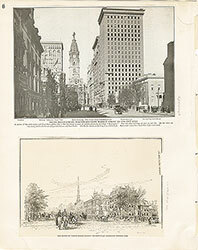 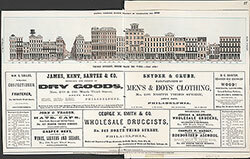 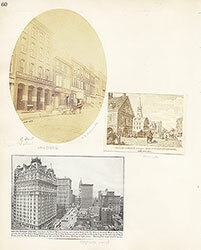 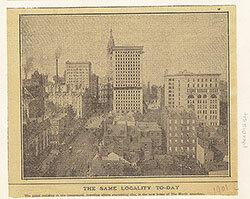 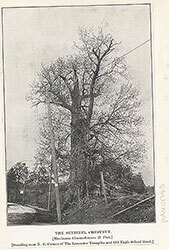 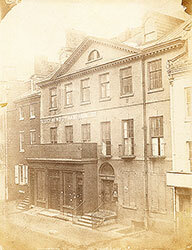 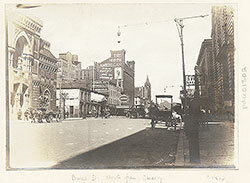 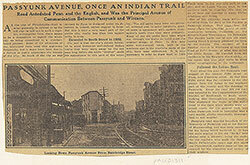 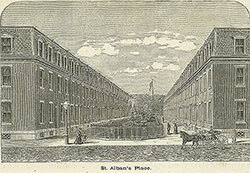 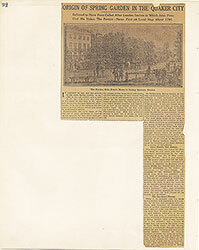 During the first half of the Nineteenth Century, the vicinity of Third and Chestnut was the business center of Philadelphia. 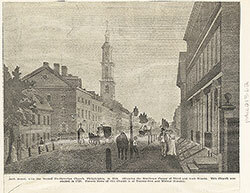 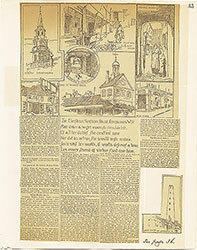 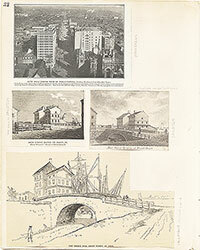 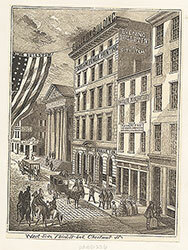 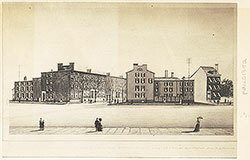 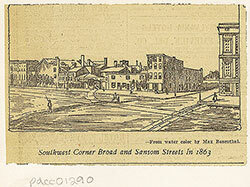 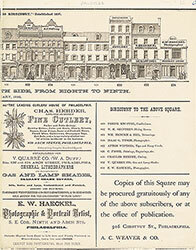 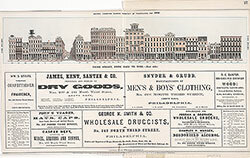 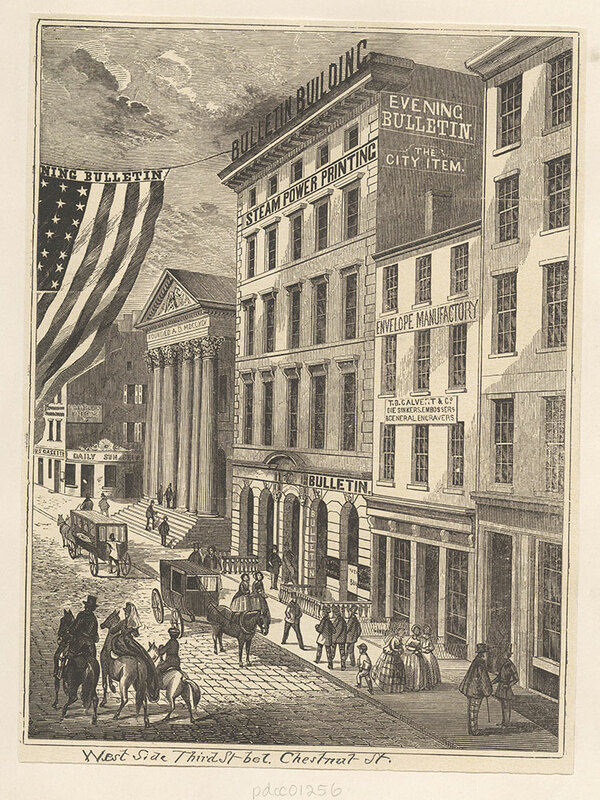 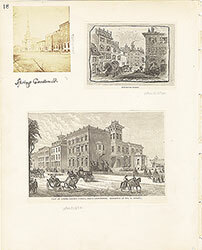 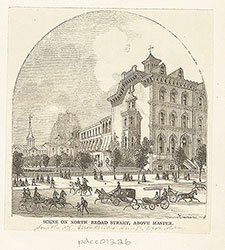 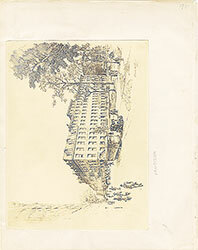 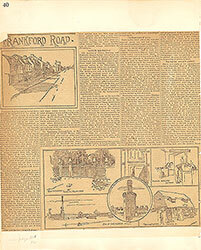 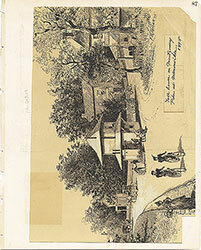 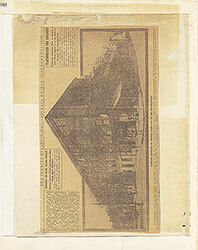 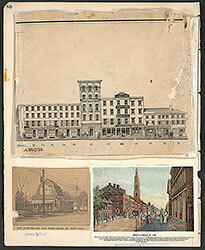 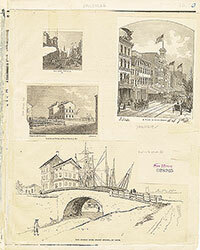 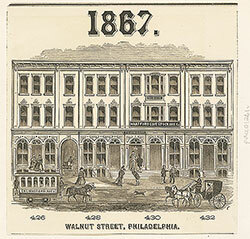 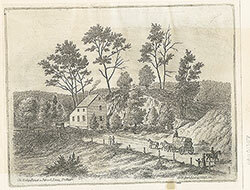 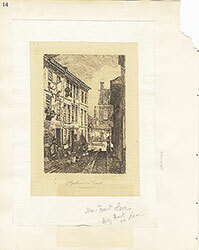 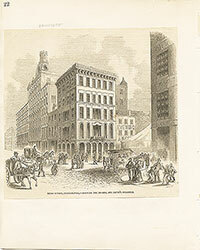 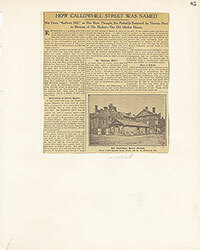 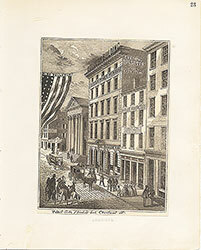 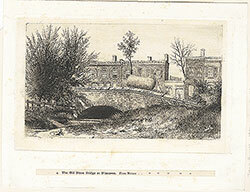 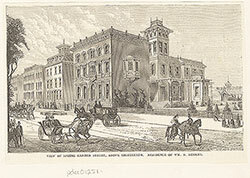 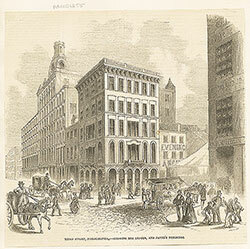 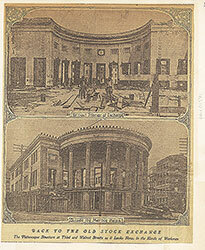 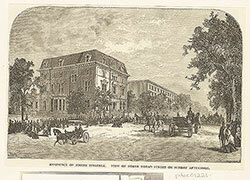 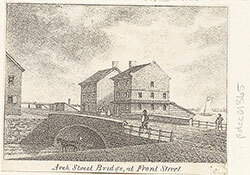 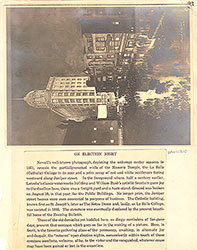 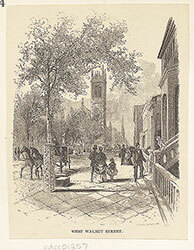 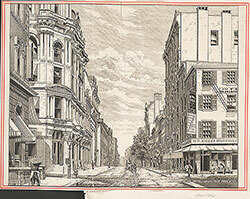 Banks, insurance offices and most of the newspaper offices were located here.This wood engraving depicts the Bulletin Building, the headquarters of the Evening Bulletin newspaper,and the adjacent First Bank of the United States. 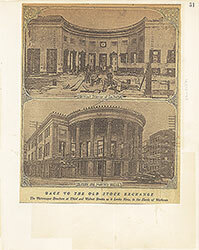 Designed by Samuel Blodgett in 1794, the bank was completed in 1797 and was notable as an early example of Classical monumental design. 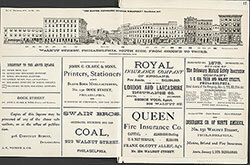 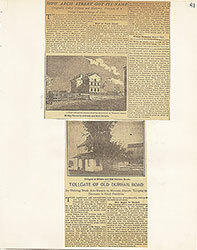 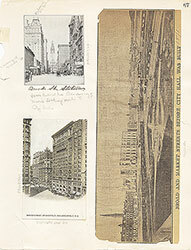 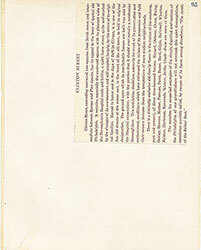 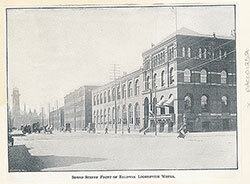 Signage on other buildings indicate the offices of The Daily Sun newspaper, an envelope manufactory, and T. B. Calvert & Co. die sinkers, embossers & general engravers. 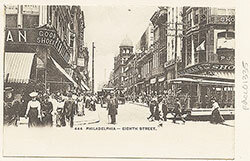 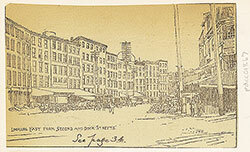 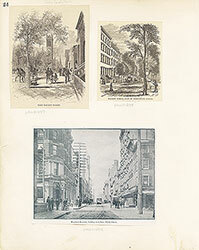 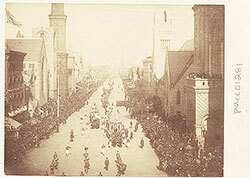 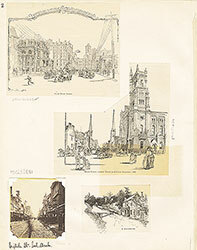 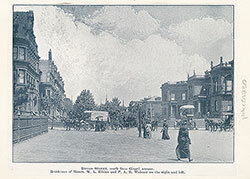 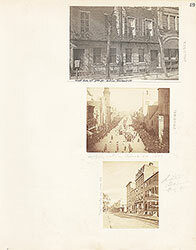 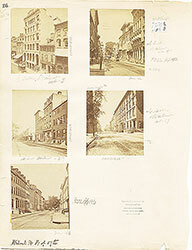 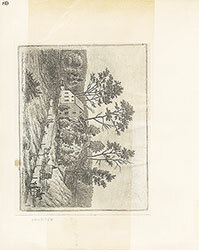 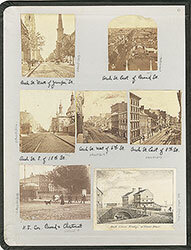 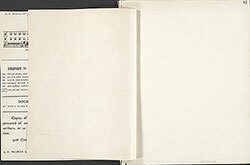 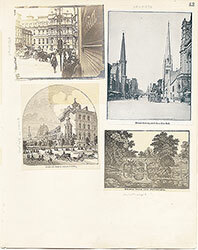 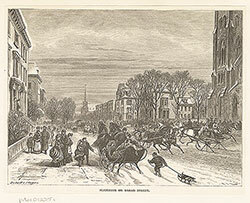 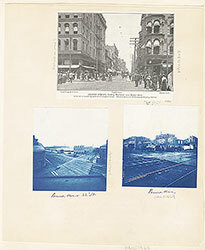 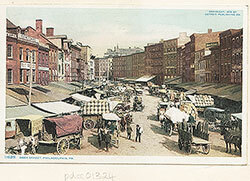 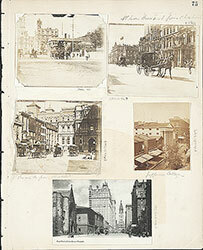 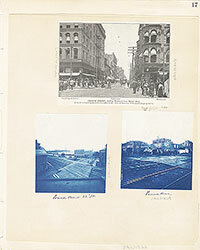 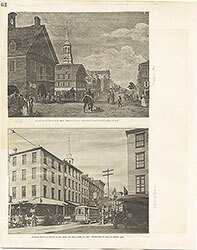 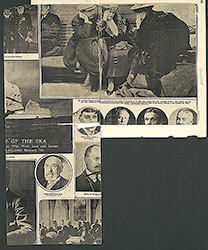 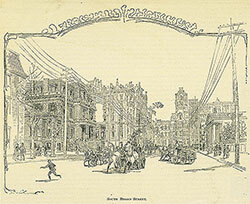 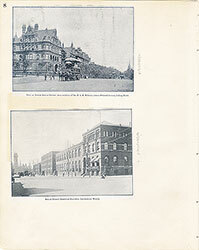 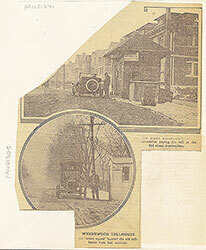 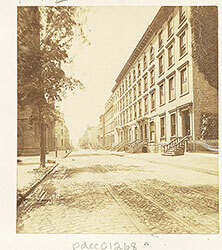 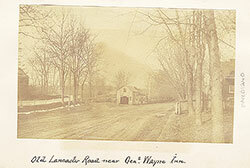 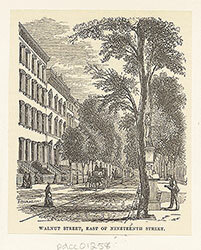 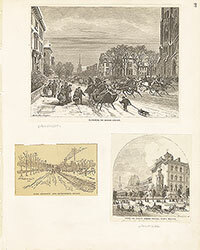 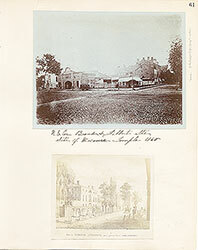 Also shows elegantly-dressed people on the sidewalk; a man, woman and child riding horseback; horse-drawn carriages pulled up at the curb.